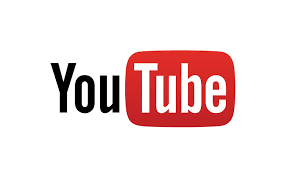 Many magicians seem to think that just by uploading a Promo Video onto YouTube, that it will instantly create a frenzy of views, increase the amount of traffic to their site and that the phone will start ringing. In truth, unless you happen to hit on a viral gimmick that really works, most magician’s videos struggle to get views. But all is not lost. There are a number of simple tactics that many people overlook. These will not create a frenzy of views, but can definitely increase your traffic. And a good thing is, many of these simple techniques can be done long after the video was first published. What are people searching for when they look for your act? This is SEO 101, but is often overlooked in Video titles. The first few words of the Title are important. Use Analytics, a tool like Long Tail Pro or even the YouTube suggested search results to get ideas on how to title your video. This one really is underused by many people. You are able to put a huge amount of text in the description box, so why not. Pay important attention to the first sentence or two as these will appear in many snapshot views of the video and entice people to click. Keep it relevant but Google like lots of info. In the description box, also include Links to your website and any other websites that you feature on. Include links to your other videos. This also adds more weight to your page and will push you up the suggested video rankings. Just as a webpage can be tagged, so can your Video. Add as many relevant tags as you can. Look at what other people are doing for ideas. The free VidIQ tool can help your research. Once again don’t spam the Tags. If you have more than one video, add the same unique Tag to each of your videos. This could be your name. This helps link the videos and Google / YouTube will see this. YouTube suggests 3 Thumbnail images to pick from to be used as your Video Thumbnail. Often they are quite good, but you can upload your own image. Spend some time looking at what works or stands out in an array of video thumbnails. Keep it simple & bold. http://www.Canva.com is a free and easy way to make a custom thumbnail image. If you are lucky enough to have subscribers already, don’t forget to use the message box when you publish a video. You can only use it when you first make a video Public but it is an easy way to contact subscribers. These also can be added to older videos to enhance the impact, correct changes and add a Call to Action. Changed your Website URL? New email address or Phone Number? Add a large Annotation box correcting the information. There are plenty of online tutorials on how to do these. The online Video Editor now allows plenty of changes to be made to an already published clip. You can shorten, split and enhance the video with many effects. Google rewards videos that get watched all the way through by ranking them higher. But people tend not to watch videos all the way through, especially long ones. Taking this into account, if you are planning a new video or editing an older video, remember Shorter is probably better. If you have any simple tips that have worked for you, or would like more info on any of these, please leave a comment below. Next post: Is Your Magic Business booming?